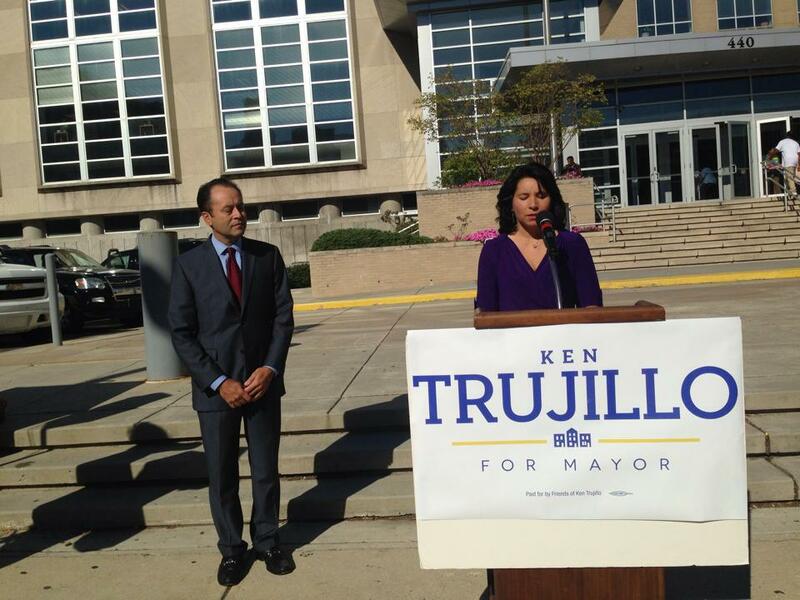 On the steps of the Philadelphia School District headquarters at 440 North Broad Street this morning , candidate Ken Trujillo called for the dissolution of the controversial School Reform Commission (SRC) – and a return of public control to Philadelphia’s school system. The $2 per pack cigarette tax, touted by many officials as a stop-gap solution to the enormous school budget deficit facing the district, may come up for a vote as soon as today. Read more on this story from Chris Brennan. It’s a bigger story that Trujillo supports body cameras for Phila police than his desire to disband the SRC. Ken Trujillo is of a legal mind that could find a way to dissolve the SRC but he doesn’t work for free like all top lawyers. Even David Rudovsky doesn’t work for free.